The Godfather of Funk, George Clinton, is back with a new album under the Parliament band name. Clinton is also joined by original band members Greg Thomas, Bennie Cowan, Fred Wesley and James Brown band member Pee Wee Ellis. This is the first album in 38 years under the Parliament name since the release of “Trombipulation” in 1980. Clinton announced his retirement from touring last month to “Billboard” and he is set to embark on his final world tour this year. 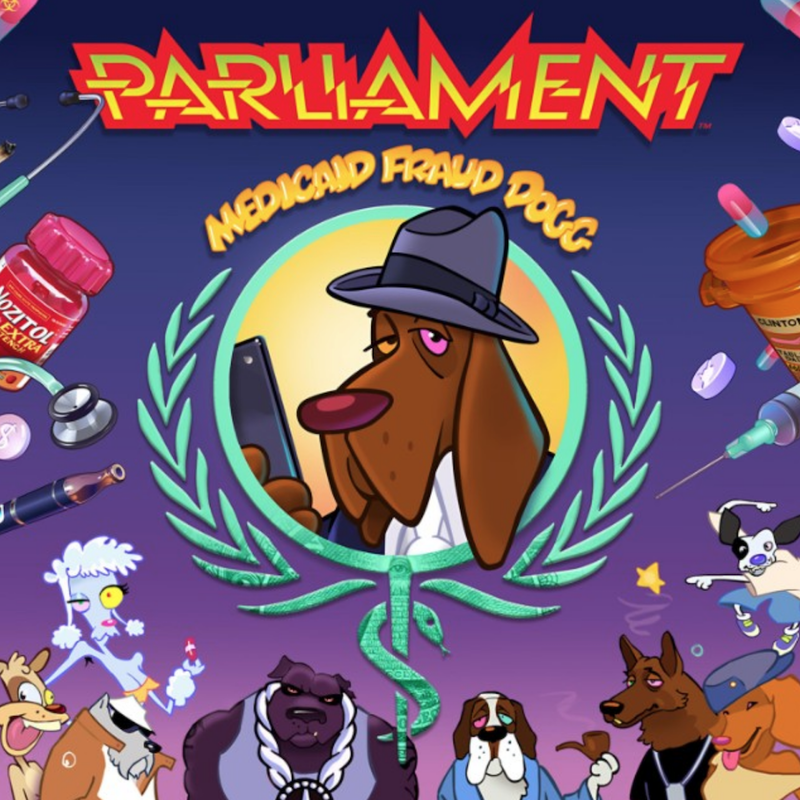 The release of “Medicaid Fraud Dogg” will allow Clinton to bring new music to his final tour, and, boy, is it some good music. This album does feature more modern tracks you would expect from a rapper today. The track “Backwoods” sounds like a song you’d find on the latest Kendrick Lamar album and the track “Mama Told Me” is similar to a song you’d expect from Waka Flocka Flame. Even though these tracks are more modern, P-Funk is still at the core of these tracks. I say that because if we didn’t have the funky times of the 1970’s, we wouldn’t have had the rap of the 1990’s and so forth. Even though this is a modern Clinton album, it has no shortage of the funky and psychedelic jams from the 1970’s that made him a hit. Songs like “Oil Jones” and “69” play true the wacky Parliament sound, whereas songs like “Psychotropic” and “No Mos” sound like psychedelic rock of Funkadelic. The song “I’m Gon Make U Sick O’me,” in my opinion, is the one that stands out the most. This song is where you can feel the Funk all way in your soul. It has everything from classic Clinton funk to the funk-inspired rap of the 1990’s delivered by rapper Scarface of the Geto Boys. This giant unexpected album will appeal to the fans of old and any new fans out there. With close to two hours of funk there’s something for everybody and a lot of music to consume. After all these years, Clinton stayed true to what he believes in and will not give in to the norm. Clinton stays playing by his own rules and allows everybody he works with to do the same. Overall, I really enjoyed this album and I give it 4 Atomic Dogs out of 5.